Thirty years ago, gas was selling for $.91, Butch Jones was a junior in college, and football fans in Kentucky and Tennessee were being asked to donate blood to help their respective communities in a first of its kind competition. A lot has changed since 1988, but one thing that hasn’t changed is the Battle of the Orange and Blue which enters its third decade of saving lives. This year’s event is from Monday, November 13th to Friday, November 17th. Fans of the Tennessee Volunteers and the Kentucky Wildcats compete all week to see who can donate the most lifesaving blood. The event was started by MEDIC Regional Blood Center and the Kentucky Blood Center to help increase blood donations at a critical time. The competition has always been during the week before Thanksgiving. 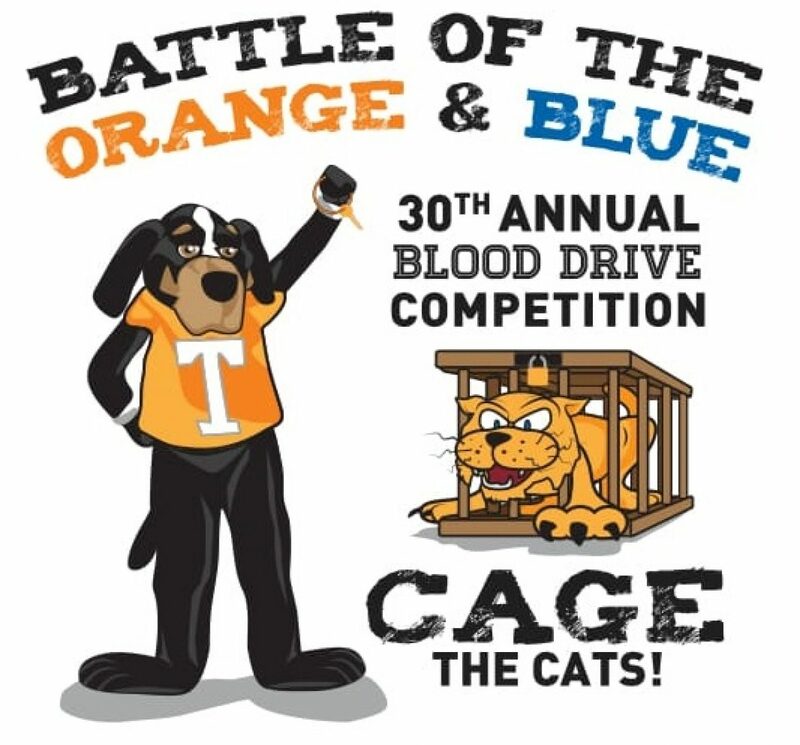 For most of the competition’s history, this meant the blood drive was held the week of or the week before the Tennessee and Kentucky squared off. The winner of the annual competition was announced during an on-the-field trophy presentation at the game.Scheduling changes now mean the Kentucky game is several weeks before the competition. In recent years, this has meant a decline in blood donations. At its peak, the competition was responsible for over 6,500 blood donations; most recently, only 4,600 donors participated. This competition is the most important of the year to both blood centers. During the holiday season, donations drop dramatically. However, the need for blood at local hospitals does not. Since blood lasts up to 42 days, this event helps cover the drop in donations until the new year. Several blood drives will also be located on the University of Tennessee campus. Typically, MEDIC donor centers (Knoxville, Farragut, and Crossville) have little to no wait. To thank donors, everyone who participates in the competition will receive a small one-topping Papa John’s Pizza, a Chick-fil-A sandwich, a Texas Roadhouse appetizer, a Wendy’s Frosty, free admission to Fantasy of Trees, and the 30th Annual Battle of the Orange and Blue t-shirt. MEDIC partners with a Florida-based blood center for a similar competition in September between Vols and Gators fans. Those who participated in that competition will be able to participate in Orange/Blue as well as donors can give whole blood every 56 days.